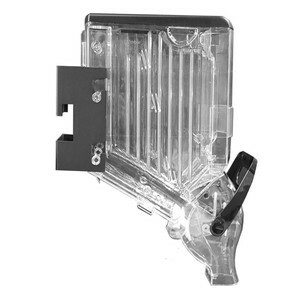 Wuxi Sanan Plastic Products Co., Ltd.
Before returning the acrylic food dispenser back,please go ahead our customer service for returned address. Many kinder gardens use acrylic to replace glass on window and fence for its harmless and shock resistance. Sale area,design ideas of acrylic food dispenser and other private information of client would be treated confidentially. Our products have 2 years quality assurance and good after-sales service Our gravity bin packaged with wood craft case,carton and film bag JIANGXI ECO INDUSTRIAL CO., LTD. &spades; Manufacturers founded in in 2005 &spades; Export business experience more than 2 years &spades; Main products:Gravity bin ,Bulk Food Dispener ,Scoop Bin ,Display Racks. &spades; Output Value Per year: USD 2 million &spades; Staff Number:100-200 Supermarket and store display shelving/stand with dispenser and bin Thanks for our customers' good feedback of using our bulk food dispenser Contact us Jiangxi ECO Industrial Co.,Ltd. MOQ 200 pcs Packaging Detail Safe Packing or as you request ,can pass know down test Payment T/T or Western union remittance; 30%deposit and the balance 70% before shipment . 2.All your inquireies will be well explained by our experienced staff. We are a professional one-stop POP display supplier, offering many good solutions for customers! 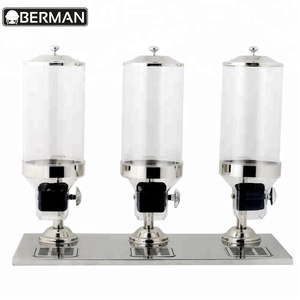 2018 China manufacturer wholesale Dual Dry Food Nut Cereal Candy Dispenser Our bulk nuts dispenser have 3 capacities, 19L, 13L, 8L ,and you can choose base or hook . 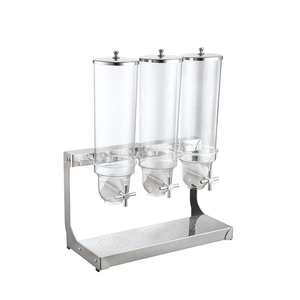 Main features about our bulk nuts dispenser 1.Almost unbreakable import PCTG body; 2.Easy to clean and install; 3.Well sealed arrived 90% ensure food freshness and avoid be affected with damp and corroison; 4.Perfect for any free-flowing food used; 5.Equipped with the base stand to fix it on the shelf; 6.Moderate flowing rate control to reduce food waste and spillage Item NO. &spades; Manufacturers founded in in 2005 &spades; Specialized in bulk food display more than 10 years &spades; Main products:Gravity bin ,Bulk Food Dispener ,Scoop Bin ,Display Fixture. Bulk Food Dispenser has been an importent product in the Other Store & Supermarket Equipment market over the past year, and it was very popular in United States,Australia,Canada,Wales and France; As shown in the distribution chart, market shares of these countries are folowing: [ US:31.75%, AU:10.80%, CA:10.30%, GB:6.41%, FR:4.10%, other:36.65%]. 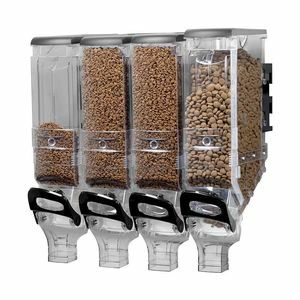 What's the trends of Bulk Food Dispenser product's market in 2018 (Dec 2016 to Jan 2019)?we have studied one years data on online sales, global shipping, search, sourcing and requirements of following products Bulk Food Dispenser.